We have become so accustomed to using antivirus programs, that it is unthinkable for most of us to use a computer that has no antivirus installed. Our antivirus thirsting selves make us feel unsafe the moment we find ourselves without a program that promises to keep all security threats away from our machines. The antivirus companies know this and keep churning out new products that they claim will quench our thirst for protection software that can do it all. Antivirus software has been with us ever since the emergence of the World Wide Web. But with the dawning of each day, many are rethinking the place of antivirus programs in internet security. For this reason, many computer owners are questioning what they know about viruses, adware, ransomware, and other malware removal tools. Do we know everything necessary to stay safe in the cyberspace? Are there things that antivirus companies would not want us to know about securing our machines? The truth; yes, there are. As the truth about security reverberates in the cyberspace, an increasing number of people will stop subscribing to the traditional approach to securing their PCs. Sometime in 2014, executives from Symantec finally said it, “Antivirus is dead.” But coming before these executives from an antivirus company could publicly accept this, were years of pushing antivirus solutions and telling everyone how important it is that they buy the latest security suites their company and others like it offered. Nonetheless, this acknowledgement was a major shift and a true wake up call for the rest of the companies in this niche. There is a growing consensus that antivirus is dead and that there needs to arise new ways of combating security challenges in today’s chaotic cyberspace. One of the solutions that are emerging from this pandemonium is one that seeks to protect your PC from ransomware and malware, two threats that traditional antivirus is unable to effectively counter. MalwareFox antimalware is one such program. Instead of looking for possible threats based on an antivirus database, this program monitors and analyses the behavior of programs in your PC. It seeks to remove any program that brings unusual activity to your machine. This means it has the ability to protect your computer from adware, spyware, malware and ransomware programs that traditional antivirus are largely powerless in dealing with. Anyone who has a basic understanding of how antivirus programs work knows that they can slow down your PC. The extent to which this happens is determined by the size of your PC’s memory, the task you are performing and how often your antivirus scans your computer. While Antivirus companies will not tell you this, a research project conducted by AV-TEST showed this to be true. According to the research findings that AV-TEST published, different antivirus software slow down your machine to different extents based on the task at hand like downloading files from the internet, installing applications, copying files, launching websites, etc. Now and then, AV-Comparatives does similar tests and publishes its results on its website. You can see the results of their latest tests here. When Rick Broida, a CNET contributor declared in 2014 that he does not use any antivirus program, many dismissed him right away. Yet, a year later he wrote another piece telling the world that he was still not using any antivirus program even after he made the world know all about it, making himself an obvious target for hackers. So how did he do it? And could you? Truth be told, Rick Broida is not alone. Many other users don’t use antivirus programs. But because of the antivirus bubble that all of us seem to live in, these courageous individuals often feel like they are insane and should perhaps change their minds regarding the use of antivirus. Indeed, folks at Life Hacker insist that you should use an antivirus regardless of how careful you are with your browsing habits and computer usage. It might come as a surprise to you, but it is true that you can remove computer viruses manually without an antivirus. What antivirus company would want you to know that there was a way you could stay relatively safe without using their many security suites? Yet, by a little learning, you could keep most cyber threats at bay. To do this, you would have to learn how to identify rogue programs and files and remove them from your PC. As a general rule, you should flag any program that looks suspicious to you. In fact, if you did not install the program, however harmless it might seem, it serves your interests to remove it, at least until you can figure out how it found its way into your system. You can do this by checking the processes showing in your task manager. You can use the Process Library to try and differentiate between genuine computer processes and malware. While this process is tedious, it can be the difference between your computer working malware free and its ultimate and inevitable crash. Moreover, it is often more effective that using the traditional antivirus programs. Antivirus companies have a hard time admitting that AVs cannot stop ransomware. By now, you probably know that hackers are using ransomware to encrypt people’s data and demand money before they can decrypt your files. 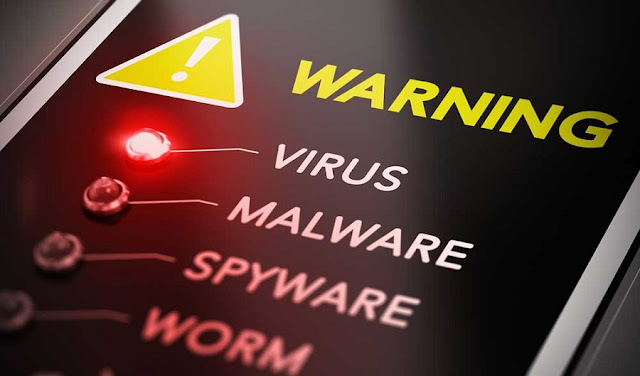 The reason why ransomware is particularly evasive to antiviruses is the fact that it sneaks into your system through email messages you open and click on links. While email platforms like Gmail do their best to keep most potential threats away, some still do find their way into your inbox. A simple click on a link in that email is all it takes for all hell to break loose in your system. While most cyber security experts still vehemently deny that cyber criminals are winning the war against internet security, their apparent disavowal is doing little to change the facts. Cyber-attacks have become so commonplace that there is now a real risk of becoming numb and unmoved every time we hear about the latest data breach. Perhaps these cyber security professionals need to accept that the criminals are a few steps ahead. Maybe then, we can start an honest conversation about how to deal with a security threat that remains ever so elusive. How can we come up with a solution to a problem we are yet to accept exists? The truth is, no antivirus can provide 100% protection. To stay safe, you must take layered security approach. In this configuration, you form layers of protection around system. Attacking malware will be stuck at corresponding layer even if it manages to pass through the first or outermost layer. Therefore, after deciding on the antivirus you should care of other aspects too. This includes having a good antimalware solution, firewall and personal safety practices. Such a security solution would stop threats in their tracks before they inflict unrepairable damage to your PC.